I'm sure the gamers will bash this build since it's a mining rig, but I figured I'd let the "haters hate" and share this build anyways for anyone considering a mining rig project! FYI - This is my first mining rig build. I was lucky enough to snag the Corsair GeForce GTX 1080 Ti's from Corsair.com for $50 under MSRP with no tax and $4.88 on shipping per order of 2. Stumbling upon this deal was literally the deciding factor for me to take on this project since the GPU market at the moment makes grabbing several GPUs nearly impossible (yes, I realize that I am now part of that "problem"). I was quite shocked how easy this build was to get up and running after hearing nightmares of people trying to force "non-mining" motherboards to recognize more than 2 GPU's. Assembly and startup was more or less plug and play. After a few BIOS adjustments (there are plenty of guides online), the rig was up and mining in less than an hour after hitting the power on switch for the first time! I attribute this success to selecting a commonly used mining motherboard that has plenty of online material documenting its use for this purpose. The frame I purchased (Veddha 8 gpu) only has slots for 7 fans. Since my water-cooled GPUs came stock with their own radiators and mounted fans, I needed to rig up some brackets to mount the 8th fan/rad below the frame's default spot for the 7 fan array (see pictures). The brackets were fabricated from bent aluminum with some drilled holes. Luckily, the frame kit came with enough spare hardware so I didn't need to source any extra screws/mounting hardware. I'm using the Linux based SimpleMining Operating System (SMOS - https://simplemining.net/) flashed onto a USB stick - no HDD or SSD involved in this build (saved a pinch of $!). For a first time miner, SMOS is rather intuitive. I'm mining at a power conscious overclock (+200 Core clock / +175 Mem clock / 175W power limit) with GPU fans set to 50% and radiator fans set to 60%. The rig measures around 1750W at the wall under load. The cards rarely breach 40 degrees celcius (currently ~70 degrees fahrenheit ambient in my house) and are pumping out around 750 Sols/s on each card or 6,000 Sols/s for the whole rig with about 4.2Sols/watt - rather efficient given how power hungry these 1080 Ti's are! On www.whattomine.com at the time of building this rig, the break even point is about 150 days. Realistically, I'll be HAPPY to hit ROI by July-August just in time to scoop some hardware for another rig when the GTX 1100 series comes out. Honestly though, if I break even in a year I'll be satisfied. Fingers crossed the market stabilizes and improves! I want to build my own mining rig! The mining community has become rather "open door" in terms of available information over the most recent years. If you're considering building a rig and have the capital to do so, don't be shy. There are plenty of support outlets if you run into trouble (google Voskcoin - https://www.youtube.com/channel/UCT44w6854K62cSiwA1aiXfw or peruse the forums on www.BitCoinTalk.org). Also, be persistent on the GPU hunt. Close to/at MSRP priced card deals are still out there daily. I've managed to score a handful more already for my next build. Thank you for taking the time to view and read about my build! thanks for ruining the GPU market! Aside from the fact that 90% of the "anti mining" comments on this build page are from users who would probably never even buy a 1080ti anyway, this guy buying eight GTX 1080tis has absolutely zero effect on graphics card pricing or the market as a whole. 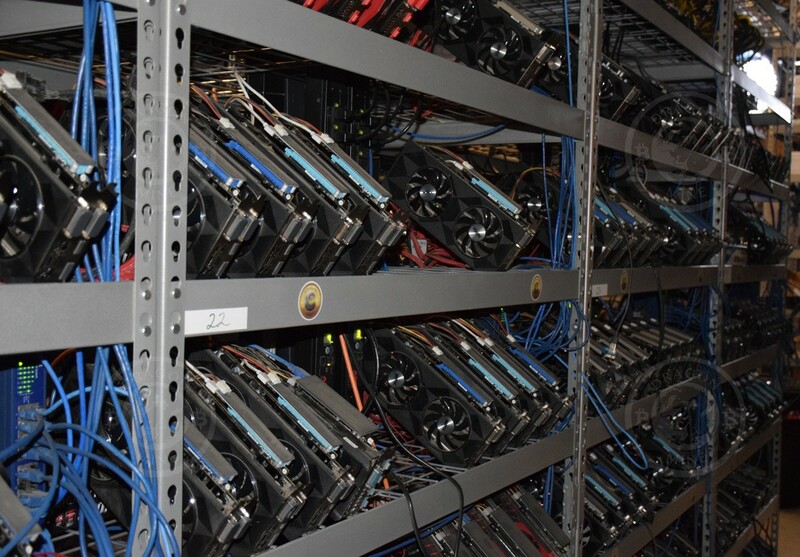 There are mining farms ( a lot of them are being built in China right now) with hundreds or even thousands of video cards that were bulk purchased directly from the board partners (Asus, EVGA, etc...). That is the reason retailers have gouged prices, because they are getting short shipments of whatever is left and are deciding to jack up the prices accordingly. Anyone who says this rig (and others like it) is killing PC gaming, or inflating GPU prices is overreacting at best, and ridiculous at worst. As impressive as this build is, it's small potatoes compared to larger (and vastly more detrimental to those complaining) mining farms. If this guy bought eight GTX 1080tis for an internet / gaming café, no one would be accusing him of ruining the price market with his purchase. There is just a huge stigma right now by a majority of PC gamers that are anti-mining because they feel like cryptomining is ruining PC gaming. The downside is that most of these people make sweeping broad comments that are overly negative of mining as a whole, without having all the information necessary to lay the true "blame" where is should be. And no, I'm not a miner. I also know a lot of people (including myself) that have 1080tis or some similar card that use them for mining at night and while at work/school and then game on the card as well. Are we miners? Yes. Are we ruining the graphics card market? No! the amount of miners no matter how much they buy is the problem. By that logic, everyone who purchases any graphics card is part of the problem, just by the fact that they plan to use them for cryptomining. Because "no matter how much they buy" implies that if two people go into Microcenter and each of them buys three graphics cards, the one building a mining rig is "destroying the market". What about the other guy that also bought three but is building gaming PCs to sell? Is he also killing the market? No? Because in the end it doesn't matter what you are buying them for. Quantity is all it's about. I have personally went in and bought multiple graphics cards at once, and I'm not a miner. What about Crossfire or SLI rigs? do those multiple purchases ruin the graphics card market? I don't see a difference between the guy running 4-way SLI for enthusiast gaming and the guy with four graphics cards in a cryptomining rig. They're both just consumers. Your statement also implies that even a single graphics card, if used for mining, is part of the problem. If John builds a gaming PC, and uses it when he's not playing to mine so that he can subsidize the cost of his build, that is having zero effect on the graphics card market. There is a galaxy of difference in a consumer ordering 2, 3, 5, or even 10 cards at a time from a retailer, compared to a bulk purchaser ordering hundreds at a time directly from the board partners. It's these direct purchases that are driving retail prices up, because these bulk orders are causing retailers to receive smaller shipments and therefore raise prices. I can go into Best Buy and empty the graphics card shelf and it will have zero effect on their retail price for those cards. They'll just order more and restock. The problem is when they cannot restock their shelves due to low delivery numbers, that's when price goes up because they now have a supply limitation. Your comments indicate very narrow thinking, without seeing the complete picture of the market. It directly proves my statement about the stigma associated with cryptomining, and why most negativity toward it is misdirected due to not having a full understanding of the market. I'll be honest, I hadn't even considered mining farms that order cards by the hundreds or even thousands would be a thing. If the mining farms are purchasing directly from the board suppliers then it should be on the suppliers to throttle back the amount sold to them so they can provide for the average consumer market. Having said that, I don't think the analogy of buying out all the cards at Best Buy or Microcenter having zero impact is fully accurate, simply because a shortage is a shortage regardless of who's causing it. Doing that one time might not impact anything but if it happens at hundreds of stores multiple times to where they struggle to meet demand then retailers could drive up prices all the same. I receive (and pass on) daily notifications for in-stock GPUs AT or NO MORE than $50 over MSRP - most of them are dead on at MSRP. I don't have any special connections, I set this up myself as a general consumer. Deals are out there if you're persistent and know where/how to look. Be resourceful and use (free) "in-stock" scanning services and the search becomes effortless. I acknowledge there IS a problem though... Unfortunately, exacerbating the issue is a side effect of MY particular interest when using the hardware in this manner. Scalpers are the ones truly really "ruining" the market in my opinion. Well... I have my thoughts about mining/miners right now but I'll keep those to myself. Nice work! Looks sick as all hell. It looks very clean for a mining rig, most mining rigs I've seen are just filled with wires from every where. Not you however. Very good work! Thanks. I actually haven't even done cable management on it yet. I'll post another follow up picture once it's tidy. Don't have many positive things to say about mining based on the state of the GPU market, but this is a very clean rig. Well wishes on your operation. Got lock jaw from 8 1080ti's. Wish I could afford 1. I'm sorry, I have an opinion and did not have the greatest of days, I hope you accept the apology. This is the reason why GPU prices are sky rocketing. Thankfully I bought my 1080 over a year ago before bitcoin mining gained major popularity. I don't mean to insult you personally, it's just annoying how high prices on PC components are getting. Nice mining rig though. Very clean. I don't blame you. I'm naturally a gamer myself, and even from a miner's perspective, the GPU shortage can be annoying. Nice rig man and tidy looking for a mining rig. Post cable management pic(s) coming next week perhaps. The rig looks clean, most seem cobbled together. Where did you get all your TIs? wait... 50 dollars per 1080? 50 dollars off MSRP not $50 for the card. Looks very solid. I don't do any mining myself but it has always looked interesting. Everyone is freaking out about miners buying all the GPUs but the way I look at it once you buy the card its yours to do what you wish with it. Best of luck on your adventure. !$%!$# miners. I mean, your right. What algorithm and how fast? This rig is pointed at Equihash algos often and pulls around 6000Sols/s. On RVN's x16R algo, it was hitting over 120 MH/s consistently. Honestly, pretty good looking mining rig! What's your roi time like including power? I got lucky and had a tip off about RVN coin and managed to secure some solid profits as the coin started to pick up steam. This rig is about 75% paid off, but the market has taken a downward turn (let's hope it's temporary!) which pushes the ROI point a bit further. My original hope was to hit ROI by June, and I think i'm still on track for that. Can everyone stop bashing him for being a miner?! It’s not miners fault for bringing up GPU prices, it’s the greedy companies that saw money, and that’s all they care about. Most companies could give 2 S#!ts whether you can afford their hardware or not, they care about money, so the prices were brought up. Miners aren’t the people you should blame. Everything I needed was included with the two power supplies in the build. I meant that none of the GPUs use external power. At least you haven't shown it on the pictures. I didn't even realize that the "powered on" pic was before I threw power on the GPUs. That snap was (I now realize) taken IMMEDIATELY after hitting the power switch on for the first time. GPUs were powered on and validated as functioning 1 at a time after that. I'll post some pics soon with cable management done. Cable management on a miner rig? Nice. Damn, MSI and ASUS doesn't hate miners so all STRIX and MSI stocks will out/die soon no more MSIs customers could go for Founders edition not these customers non-FE. i'm confused on how this is worded? Hopefully future algorithms don't render GPU mining useless. Is that something to worry about ? I don't know much on the subject. The market crashing due to governmental control scaring investors out is the most immediate concern. Each news article about countries flexing control over the crypto market drops the global market 10% or more. Right when the market seems to climb back to where it was, more threatening news surfaces. I personally believe that there needs to be SOME control if the cryptos will ever be accepted and fully functional. Bringing up these opinions can quickly turn into a debate of political-type flavor, so I shan't say more. Well that's the case with any market, but I cant mine for stocks in the stock market with a GPU. I guess as long as you can mine with a GPU then you will get your ROI within that time frame - you can at least break even. Been thinking about mining since I already have a gpu, so why not ? haha. The best bet (in my opinion) for mining with a gaming PC is to target a new coin that has hardly any attention. This will allow you to mine MASS amounts of the new coin (no mining competition), and if that coin ever catches on you'll have a significant earning amassed. Also since you'll only be mining with one card, the risk of breaking even with the additional electric cost of mining from negligible - if that new coin never catches on you will have lost nearly nothing. If you target mainstream coins with guaranteed income, the amount of effort you put in toward remembering to turning on your miner every night probably won't be worth the steady slow flow of pennies you'll be accumulating. well id hate but.... you bough cards with built in liquid coolers so I'm not cuz no one else really wants them. nice rig tho. plus if and when crypocurencies die you can just sell the cards to gamer and be nice with the pricing. I make up for the lack of RGB on my gaming PC for sure! My gaming rig is also liquid cooled (though it's a custom build loop) - i'll gladly use up all the liquid cooled hardware that "no one else really wants" haha! What is your electricity bill like? I pay $0.169/kWH in my area (quite expensive for mining standards). The running cost for this rig comes to about $6/day. My electric bill went up about $200/month when I plugged her in. My farm currently consists of 3 rigs with a total of 28 x 1080 Ti's. I pay about $800/month in electricity. Mining income is still >> running cost though! I know that is not thought for gaming but . . . can it run Crysis? :D It is the first mining rig i see that looks good! Most games these days don't even support 2 x GPU SLI! I'd surely be bottlenecked by the budget processor and RAM in the build though if I tried to run any game on this thing! If the mining doesn't work out you could just sell those GPU's and make more than ROI probably. Sounds like a win-win situation to me! It's actually working out quite well despite market conditions. Managing the heat from my farm this summer may pose some problems though! How much are you making a day? This rig was making about $50/day when I first started. As you may know, the market is way down and there has been a flood of new miners (= higher difficulty and lower profits). Income on this rig at today's rates (4/9/2018) is about $15-$20/day on "mainstream" coins. If you take some risks and do some "deep mining" (mining new coins with low value, high potential), you can rake in WAY more. This rig is nearly paid off with profits I made during early mining of RVN coin. People like this is perfect example why graphics card price is gone rocket. At the start he can afford only 8 pieces of that graphics card, but slowly but surely in the future he probably can afford more than 8 pieces of that card which is make this horrible situation getting worst. All of those cards were purchased for less than $800 USD. I'd say 20 of the 28 cards were purchased for less than $750 with 10 cards purchased right at MSRP of $699. The price on READILY AVAILABLE cards has "rocketed" - yes. However, if you're patient and diligent in your searches there's no reason you can't find cards at a reasonable price. How did you get the GPU for $50 can you tell me please. It was "$50 under MSRP". IE. corsair usually sells them for $850, and they were on sale on their site for $800 each. Mining rig my ***, if you were a real crypto miner, you don't buy the best fans, the best GPUs, the best cases, etc. The whole point of gpu mining is to profit. And if you arent going dirt cheap to maximize those profits then you're doing it wrong. I spent 1800 on a 6 card rig that pulls nearly 190 mH/s, about 2400 - 2600sols. 6 R9 290x's, all with bios mods i tuned myself to absolute perfection. I get nearly 32 mH/s on each card, running always under 70 degrees C. If I had a budget like yours, (7500/1800 = 4.16) you have about 4 times my budget, meaning if I had that, i would have 2500 sols * 4.16 = 10,400 sols total. You are missing out on nearly 15 percent of profits. Real miners laugh at you. 1) Nvidia poops on AMD for algo versatility. 2) Nvidia has higher resale potential. 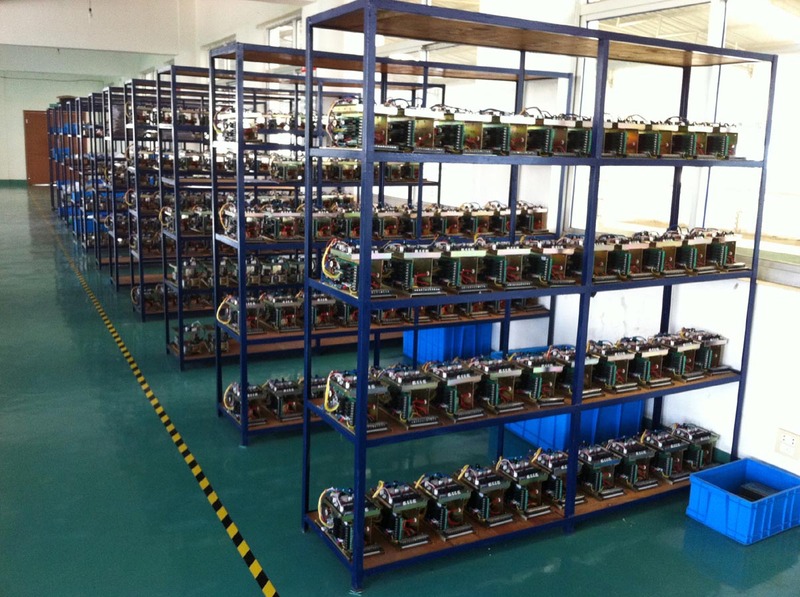 Yes, mined GPUs DO sell quickly on ebay believe it or not. 3) Where do you see "the best fans" in my parts list? They were included with the GPUs... 4) Space is a concern for me, so building 3 of YOUR puny rigs to get the same hash rate isn't reasonable in my situation. 5) The GPUs in my build are watercooled and run no hotter than 45 degrees C while mining. I can run the radiator fans at 100% without concern of blowing out the CPU mounted cooler = your rig most likely has half the lifespan of mine. Those who understand that people have different needs laugh at YOU. Not so. Etheriums decentralized apps could change how a lot of market places work. If he is a part of that community then he's helping pave the way for a lot of great things to come. Not everyone is a content creator or gamer, and opinions as to what is good for humanity are subjective. Kudos to the builder for a clean efficient build. With that said I'd still love to see GPU manufacturer and sellers impliment some form of control to help stabilize the market. There are several factors, but the GPU mining craze definitely does NOT help. Reasonably priced GPUs are out there, you just have to be patient and know where/when to look. Hah! I originally had a Celeron G3900 specd out for this build (marginally worse). I grew tired of waiting on its delivery in the snail-mail so I went and bought an available pentium at a local shop. Processor is literally just something to fill the CPU socket so it boots up (about 99% serious). I dont think he cares. If you can't follow the code of conduct you will be banned from the site. You are free to use the site without one if you can't follow the simple rules in the code of conduct. Bypassing a ban will lead to additional actions on our end.